Buying land sounds like a great plan. Land is finite, so as the population increases, so should the price of land. That acreage you pick up for a song today could be worth an opera tomorrow. Or not. Turning raw acreage into land to live on can be enormously expensive. When it comes to figuring out what a piece of land is really worth to you, a little homework goes a very long way. Have you noticed that, in the same ZIP, you’ll see 1 acre listed for $60K and 80 acres for $100K? Why the price difference? That 1 acre may have power, water, septic, and be flat and cleared, whereas the 80 acres may lay up the side of a mountain with a rutted driveway, zero cleared space, and more invasives than native trees. Not only could it easily cost $100K to build a driveway, run power, and prepare a building site, the area has been so logged out that you’ll never make any income or generate your own lumber from your trees and will be fighting a battle against dangerous erosion for the rest of your days. It may have zoning restrictions that would preclude certain types of buildings or activities – like farming – and easements that reserve part of the land for someone other than the owner. Other qualities that raise land price can be location or a great view. Then there’s the, “Let’s see if we can dupe cityfolk into paying X” factor. It’s common for sellers to list land at a hopeful price but be willing to take much less. Your first homework is to be clear what you want from your land. Will it be on-grid or off? What type(s) of building(s) are you planning? Do you want to hunt, farm, run a business off the land? If you’ve found a cool parcel for a couple grand and want to skip all of the following, fair enough. But with some phone calls and a few meetings with local experts, you’ll probably end up with a better price…and avoid purchasing land that might sink you. A “perc” or percolation test is the standard diagnostic for determining viability of a site for a septic tank, and it’s critical (unless this land hooks to municipal sewer, in which case, skip to the next section). If your land isn’t on a sewer system and won’t perc, you can’t build dwellings there, period. If land will only perc in one area, you’ll only be able to build at that area. Not planning to build? The perc is still important because the market value of the land and your offer will be reduced significantly if the soil won’t perc. Even if you plan to use an alternative or composting wastewater system, the construction of any new dwelling just about anywhere still requires a perc permit, and even if you’re not a “permit kind of person,” some things just make life easier going forward. For more on that angle, here’s an excellent post on the ins and outs of the septic-install process from the Pure Living for Life folks, who are much farther along than we are, and much more self-sufficient. I will say that our county in east Tennessee makes it easy and cheap to comply with the perc process. The permit cost $250 and is good for a few years. If you read the post suggested above, it looks like the cost is more than 3x that in Idaho, yikes. How do you know if a piece of land will perc? It is possible to eyeball with some soil types. Sandy soil is best. Our land sits over sandstone and limestone, and everybody who walked it with us was so confident it would perc that we didn’t hire a professional to confirm it before making an offer. 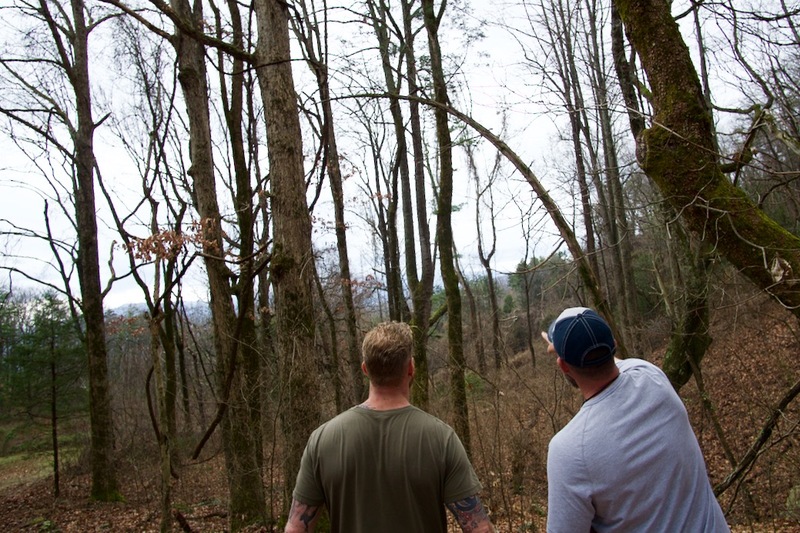 However, we did make our offer contingent on a successful perc at our chosen building site (the one with the view of the Smokies). Talk to your Realtor, who is hopefully a local, and/or any locals you can sucker to walk the land with you, about whether they think this soil will perc. If you don’t have a sense of confidence from basic soil observation, google “perc test [your county]” and pay someone to confirm the land will perc prior to making an offer. It’ll cost a few hundred $, but this step is too important to skimp on. Here’s a more detailed post about the perc test that even shows you how to do your own. Budget-wise, septic will be a big cost, so if your land isn’t already prepped for it or connected to sewer, you may be safe to reduce your offer by $5K, or more if excavation will be complicated. Running power can be extremely expensive, especially if your land isn’t directly on a road. If you aren’t planning to be on-grid, your offer should still take power into account, as land without easy grid access will have lower market value. To determine costs to power up your land, call the local power company and ask a representative to walk the acreage with you for an assessment. Do this before your offer. We reduced our offer by $20K after learning the cost of running power to our land. The rep should give you a good overview of power-company costs and finance options as well as logistical obstacles such as trees, rocks, and right-of-way access. Since no water system is currently established on our land, we reduced our offer by another $7K. Whether you’re digging to connect to a municipal system or drilling your own well, water’s going to be another big up-front cost. Ask your Realtor what the water options are for your land to better understand potential costs. Not all parcels need a right-of-way, but if your acreage is shoehorned between others’ property without direct access to a road, make sure that a right-of-way has been surveyed and deeded into your land. It should not only be open to you in perpetuity for access; it needs to give you the right to run utilities up this route if necessary. Get this in writing and make your offer contingent upon it. Confirm that there’s a current survey in place as well. If not, have the seller do one and pay for it. Surveys are critical to protecting your rights as an owner, and there needs to be one on file before they sell the land to you. It’ll cost them a grand or more but is a necessity, so walk away if there’s no survey in place and the sellers won’t get one done. That’s shady. If your right-of-way isn’t already cut into a solid, long-term road, you could be looking at a huge cost, but it’s another necessity. Consult 3 different excavators for their quotes to grade and crown a long-term driveway into your property. Depending on length, drainage, and obstacles, this could easily run up to a 5-figure pricetag. Any homesteader worth your salt will shrivel at the above words. After all, we’re out here to avoid restrictions! Zoning can restrict what you’re allowed to build on and do with your land. We were sensitive to this because we’re planning on a geodesic dome, some farming, and sundry livestock, but we wanted the flexibility to change our minds on that. Maybe we want to build an earthship into the hillside or start a commune. We’re zoning-free, so it’s our decision. The online listing for a property may describe immediately whether there are any restrictions or zoning, or it may open more questions. Either way, ask the seller’s agent and/or your Realtor to confirm in writing what the zoning and easements are for this land. An easement is someone else’s right to your land. Have you ever seen a City take a chunk of someone’s yard to expand a road? That’s an easement. So is our right-of-way, which cuts through the land of 3 other owners; of course, they get to use it as their road, too. Some easements, like mineral rights, can be exceedingly difficult to track down. They may have been sold off so long ago that the seller may not realize that another entity has rights to their land because it happened a century ago. If you’re concerned about hidden easements because you’re in an area that tends to get mined out from under people, look on the deed for the term “fee simple,” meaning the land is being sold as one parcel from the core to the heavens. If you don’t see “fee simple,” it doesn’t mean there are definitely easements, but your next step is to ask everyone who will listen if a piece of land has any easements: the tax assessor’s office, your Realtor, your seller, the title company who does your title search for the closing. With a little know-how, you can do your own chain-of-ownership search through years and years of titles at your courthouse. Or, find a local title professional who will play Sherlock for you at a price. Easements can be bad, benign, or even beneficial. Sometimes you, as landowner, will have royalty rights to resources pulled off your land. This occasionally happens with people who end up with oil wells on their property. It can be a source of income. Your Realtor will tell you to invest in title insurance at your closing. Apparently, this is a good idea. It’s cheap but will pay off anyone who comes out of the woodwork years later and says they have rights to your land that your closing’s title search didn’t reveal. Be aware that title insurance usually won’t cover extras like mineral rights, so it’s still worth doing the extra research if you live in an area where mineral rights are frequently severed from surface rights. A quick check with the local tax assessor should confirm whether a parcel sits in a floodplain and let you adjust your decision or offer price accordingly. Become friends with the friendly folks in your assessor’s office, by the way! In smaller rural areas especially, they can be part of that local body of knowledge who will provide ongoing, important insight about your property. They are true land experts. We didn’t have floodplain problems but did have other geological and environmental concerns. We made a few evidently unusual decisions about our land-vetting process for 3 related reasons: a) There’s a huge sinkhole on one side of our land, b) I grew up in Florida, where sinkholes swallow dream homes all the time, and c) There was only one place on the whole 20 acres where we wanted to build, and if it wasn’t good, we wouldn’t be purchasing this land. Therefore, it was pivotal to have confidence that our homesite wasn’t going to open up into an abyss. 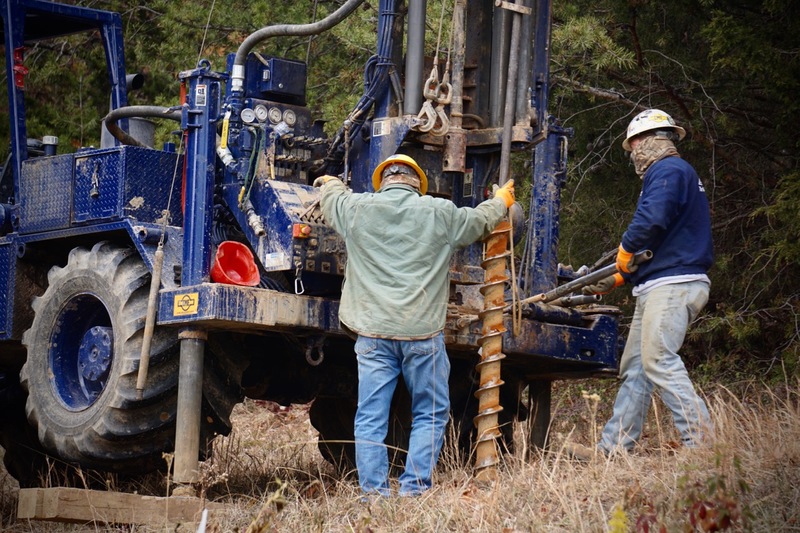 That confidence came at a pricetag: $3,500 for geotechnical drilling and analysis by a soil scientist. It’s almost unheard of for people in our economically depressed region to undertake this, and the Realtors, along with the geotechnical drilling guys, looked at us like we were cuckoo birds. But we were determined to be certain. Plus, the resulting detailed, 15-page geotechnical report will tell our builders how much concrete is needed for our foundation and how deeply to dig, which may result in savings there. Even if it doesn’t, since Chris and I are so invested in living in a safe, sound home, the knowledge of how to do the foundation right is worth it to our souls. We also had a geologist named Barry from the State Department of Environment & Conservation come out (for free) to inspect the sinkhole and give his opinion on whether it might open up more or if the litter disposed there a couple decades ago is an environmental concern. A free consult like that won’t usually result in any official approvals but can help you make future decisions. Along with eyeballing the perc possibilities, Barry gave us confidence that we weren’t up against environmental hazards or immediate costs for litter removal. He provided a number for the state’s sinkhole expert over in Nashville, who actually spoke with me for 20-30 minutes about sinkholes in Tennessee (fascinating!). Barry also gave us some fun topographical maps and information about the ground underneath us. For any of your environmental concerns, have as many local people walk the land with you as possible. A forester can tell you which trees to clear to make your woodlands healthy. A farmer or permaculture expert can tell you where to grow what. 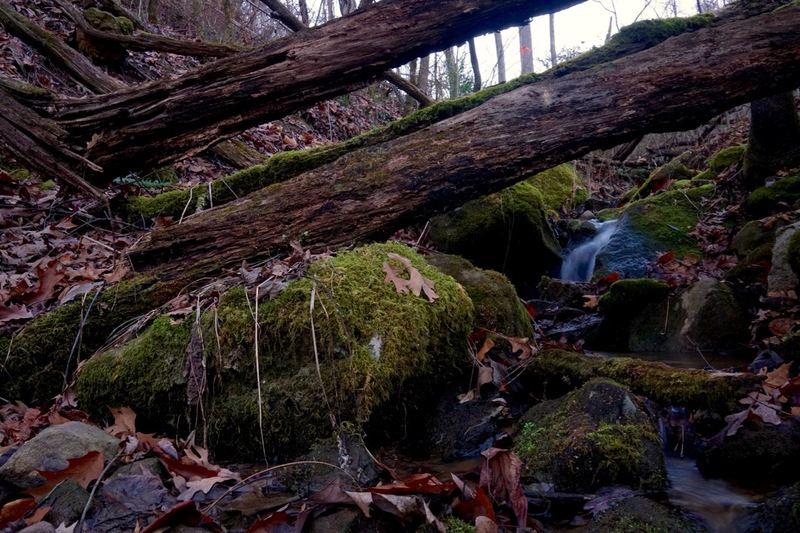 A stream conservationist may give you insight on groundwater issues. How deeply you journey into the discovery process before you make an offer depends on how important these aspects of the land are to you. Your Realtor and the local tax assessor’s office should be able to tell you what kind of taxes your land will have, if you’re worried about that. Is the land within annexed area, or will you be exempt from city taxes? Will your county and/or municipality tax you for any structures you inherit, including the most rickety shed or barn? Do you qualify for tax breaks based on the size or location of your land? 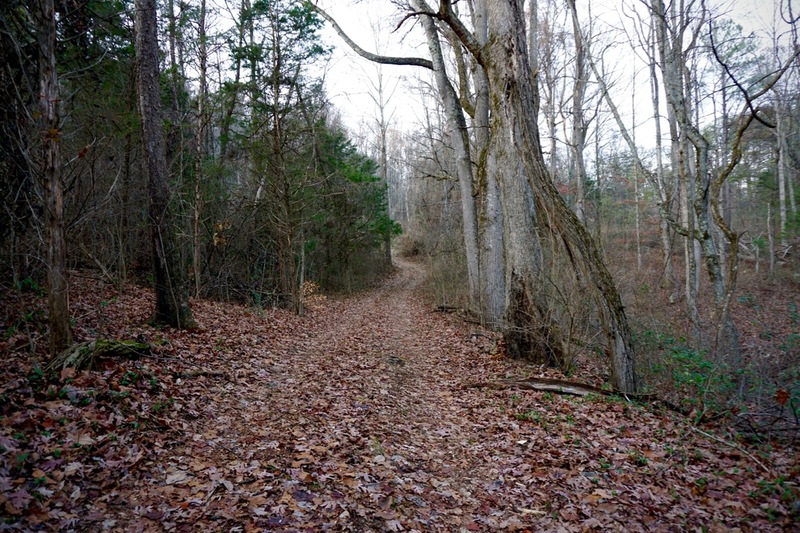 Tennessee has the Greenbelt, a break for owners of 15+ acres in Tennessee. You basically pay a local forester to walk your acreage and write a report that says you qualify, then submit that to your assessor’s office. We took full advantage of that forester’s time and learned all about how to care for our natives and attack our invasives, too. It was a blast. Taxes are taxes, but it doesn’t hurt to do your research. Maybe your state has a tax break for the kind of land you’re buying, too. Remember that once you have the land, you’re going to need items like a truck, heavy-duty chainsaw, tractor, tiller, gravel, fencing, grass seed, and on and on. This won’t change your offer, but if you’re looking at a piece of land that tickles the top end of what you think is your budget, you may want to dial it back. It’s a safe bet that several unexpected costs will pop up as soon as you close. In our case, just 2 weeks of research, getting estimates, and talking to local experts let us better understand our land’s market value and adjust our offer backed by solid knowledge. Luckily, our seller agreed with us. Otherwise, we would’ve had to move on to a different perfect piece of land that we could comfortably afford to settle, because understanding the costs of the land also helped us figure out what our real land budget was. Every region and acreage differs, so walk with and listen to people who know your area to suss out issues unique to your land. Make friends at the tax assessor’s office, too.